I constantly remind people who come across certain people who sing Mariah’s records or even just when they stumble upon a particular song or anything associated with her. I don’t how it has come into such an obsession when in fact, I felt the other way around before I finally came to realize that she’s such a wonderful singer. Not dressing appropriately with respect to her age, that odd hand tic—some of the reasons I could probably enumerate why I didn't like her at first, but considering them as just less than one hand. is probably to make this materially tangible. This has been crossing my mind back and forth for so long, but I have unfortunately neglected that urge. And now I say, you have to congratulate me for making a list of my top ten all-time favorites. I have deliberated this list very carefully and had a hard time stating reasons why they’ve got that spot when they are all supposed to occupy the same rank, which is number one. So top ten countdown, come on in! The first time I heard the song, my reaction was, “Why didn't Mariah release this as a single?” This has something to do with someone and people would reasonably relate to this song. Love Story leaves me into an atmosphere of teenage puppy love every time I listen to it and reminds me of things that I should already have left behind. It’s a wonderful record, a much underrated song. Even Mariah herself would consider it such, and I just don’t know why. I don’t know why it didn’t chart high; I wasn’t that meddlesome back then. This song is the theme of her album Rainbow which tackles mainly about the harmony of colors on Earth—races, exactly. Mariah is a multiracial individual and she has got all the inspirations to come up with such a motivating song, relating solely to her juvenile experiences. I was moved by this song, not that I am multiracial or what but she’s just a genius to make this song sound universal to everyone. This is the first time Mariah features hip-hop in her records. Everyone was like considering her as someone who is just taking advantage of the genre’s popularity and nothing else. But this was a major transition of her personality, her stand in life, and her music. 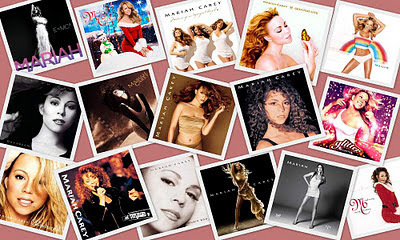 In this song we can see a very different Mariah in comparison to her Daydream album, the one before this was released. I like the emotions brought about by her husky and airy falsetto voice which adds to the boldness of the lyrics, which in fact could stand alone. This is a craft. I can relate to this song! It’s the definite reason why I placed it higher than its contemporaries. This one brings a feeling of deception by a friend or a lover, something that most of us have probably experienced. I remember making this as an electronic lullaby at night but ended up being wide awake trying to listen to every single part and detail of it. I can’t quite reason out why this song has taken a pretty high rank but I just have a solid ground for this: I respect this song very much. This is just one of the many personal songs that Mariah considers. I can’t relate to this song yet, but despite this, I liked how she managed to make everything out in a single bombastic blow of words, melodiously and harmonically etched. This is exactly the song that Mariah and her fans, even until now probably, still are bitter of. It didn’t chart at any spot when in fact, it caught everyone’s attention and was something that people fully immersed themselves in. It is a genius metaphor of what she’s been through at that time, something that you could consider pathetic at that. Starting at this moment, butterflies were something which everyone associates with her, and turned out to be her “logo”. This song brings me a feeling of being sorry to the singer. Save the fact that the lyrics are certainly one of those which trigger it to arise, but the voice! Yes, the voice! Every time her voice cracks, it reminds me of a guitar’s base strings being caressed. I just love every single detail of her voice, even when it cracks, whistles, or is having a hard time reaching for high notes. Being on top doesn’t necessarily mean it has to make me cry or anything of that nature. This song proves to me that I was right. I love every single note of this, even when there are times that I couldn’t decipher which one is which because of her ability of squeezing immense number of notes in a very short period of time. Five stars for the hands-down melisma! I’m thinking of making this as my number one but it wasn't that tough to be at that spot. I was in love with this song just recently. Imagine how long it took me to realize the craft in it because of the very vague lyrics which when I understood the gist of, I was all like, “AWWEE!” I know exactly to whom is this dedicated to and all the why’s that come arising. This is an intricate metaphor, probably most of you would just neglect. Enervating. That’s it! In this song, you could hear how vulnerable Mariah is; something in her that people make themselves blind for seeing such a wonderful part. It’s definitely normal to be vulnerable. That defines us. This vulnerability was perfectly portrayed in this song appearing to be something the other way around, a genuine ability of her that most of the artists are not capable of doing. She sounds pathetic and all I can do is feeling enervated every time I listen to this. I will always love her records, her future records and everything in her. She has been a tradition.